This is a crucial moment for urbanism. In the UK, the Portas review, highlighting the UK’s threatened high streets. Around the world, cities are growing faster than ever. But cities – as we knew them – are under threat. First, from the car. Car-dependent urbanism is the principal form of urbanism on the planet. our cities have become so fragmented by road systems in the last century that it is now almost impossible not to be far dependent – not without a major demolition and reconnection programme. Second, from designers, accepting of the car and intellectualising around this complicity. 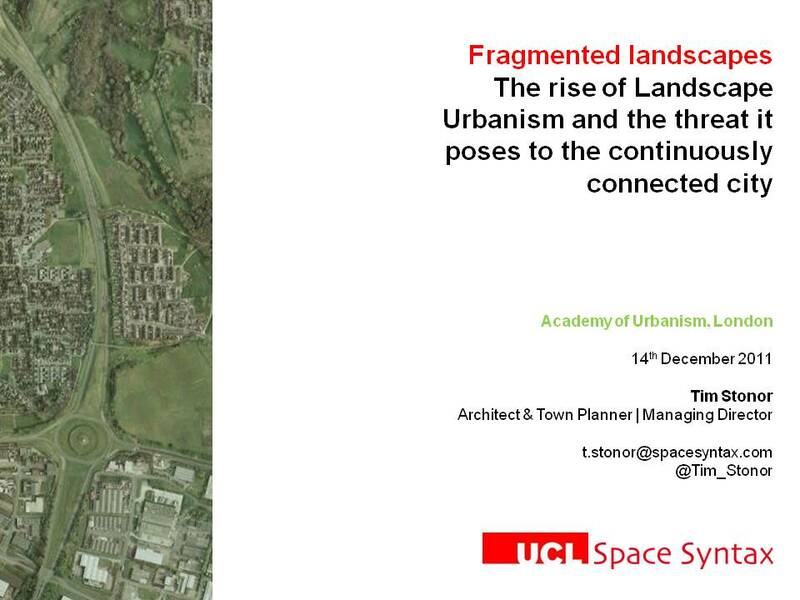 I have been forming my own views and am looking to raise a discussion within the Academy of Urbanism and beyond. Do people agree with me? If so, how do we respond? If not, why not? What is Network Design Methodology?